We are kicking off a year long collaboration with our friends at Ergo and Orbit today and we have already had so many questions about this system, so we’re really excited to finally share! 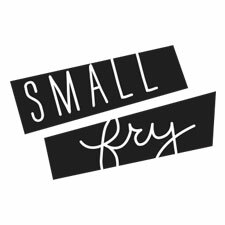 Every couple of months we’ll have another film to show you that updates on how these beautiful products are growing and changing to fit the needs of our newest Small Fry, Lolly! This film was taken when she was just eleven days old, and time as parents we all know how cruel time can be, and how fast our children grow, so these films by Jenner Brown of Lumineux are priceless! As you can see the Orbit G3 Stroller System is innovative and just plain cool from top to bottom. The round base is the first and only of its kind and makes getting the car seat in and out of the car a breeze. As you’re strolling you can easily turn the base around to face you or face out. If you’re eating at a restaurant, pull the stroller right up to the table and turn it as needed. The shield is an absolute genius feature that makes keeping Lolly protected from the elements and undisturbed when needed. We’ve noticed that people will actually remove a car seat cover or blanket, but they won’t touch the shield. The Sidekick Convertible Stroller Board makes traveling with multiple kids a breeze! We love that you can put them on either side of you and still walk with ease. They don’t get in the way at all, and the boys love that they look just like skateboard. The Ergo Swaddler is such a cool addition to their line of carriers! They have thought of things that even as mothers we didn’t anticipate and are so impressed! The swaddler simulates the hand to heart position in the womb, so there isn’t any startling awake or flailing like newborns tend to do. We love that it operates in two pieces so you can leave baby’s arms swaddled and access the bottom half for a diaper change. Have a question about something you spotted in the film? See all the sources below! 40 % off SALE items–JCREW women’s nununu sale! I love this little video. So precious. Such a treasure. You guys! This is SO wonderful. I’m so excited about this collab. And Jenna, you look truly beautiful.